Instead of forming resolutions for a new year, I have adopted the practice of taking on a word. 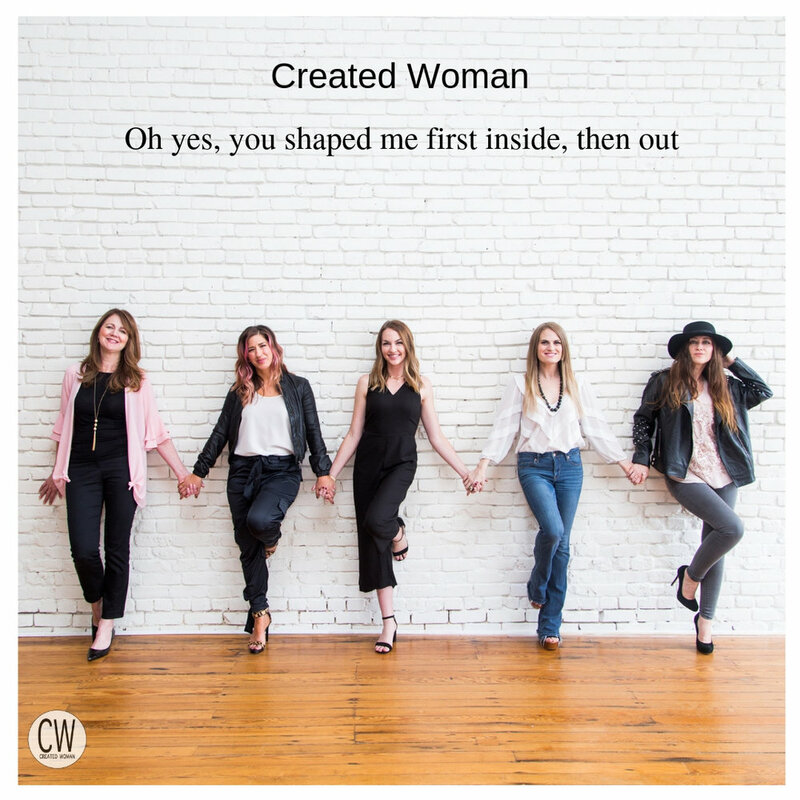 It’s an idea I borrowed from some of the leaders of Created Woman that I have found to be so much more powerful than making the traditional resolutions. A carefully selected, spirit-led word to focus on for the whole year guides your choices, helps you to grow, and steers the direction of your growth. The word I felt calling me this year is CHARACTER. Didn’t sound that exciting at first, I really wanted a cool word that sounded powerful and exciting (perhaps warrior-princess? ), but let me tell you this word is definitely proving to be interesting, and precisely what I needed. I’ll explain why. The old saying says “you are what you eat.” There is much truth to that statement in that what we take in is reflected in how we act and the character we display. TV shows we watch, podcasts we listen to, books we read, people we surround ourselves with, our habits with social media, and anything that we allow ourselves to be exposed to will shape and mold us, sometimes creating more visible character changes than we realize. Ironically, the choices we make and the ways we spend our time are more than character influence. They can also be a reflection of our character. What we choose to do and how we conduct ourselves is both a representation and a determinant of who we are. In an exploration of what my character is, I decided to inventory the things I’ve done over the last 2 years. I made a list and then looked it over. When our accomplishments, daily activities, and deficiencies are staring at us in black and white, it’s a lot easier to see what character is on display. Doing this helped me to identify what I need to do going forward to have the proven character that is a representation of who I am, and not a reaction to my current situation. Being a Jesus-follower is not just something I identify with, it is my actual identity. Romans 5:5 talks about how the Holy Spirit was poured into anyone who has faith in Jesus, believing he died for us. That same Holy Spirit is in me, and I have the choice to allow him to help me put my identity on display through my proven character. Galatians 5:16-26 has some awesome information on what it looks like to be led by the spirit in our daily lives. Those verses tell us the fruit, or character, of the spirit is love, joy, peace, patience, kindness, goodness, faithfulness, gentleness, and self-control. The same passage also warns against letting ourselves be guided by anything other than the spirit, like conceit, selfish ambition, or envy. If I want my character to be a reflection of who I am, and I do, I have to let the Holy Spirit do its thing. We have to remember that we are first and always a child of God: created, loved, and called by him. We need to do the right things that positively mold and display our character. When we face afflictions, we have to lean on that spirit within to help us gain endurance that grows into proven character. That character, the one God desires for us, is the way we can provide hope for the world. That character really does have warrior-princess powers, because nothing is more powerful than bringing people to know the one true King! 1. I made an inventory of things I had done over the last 2 years. Take a look at your calendar and think about what fills your days. Make a list of what fills your time and then take some time to reflect on it. What patterns do you see? If someone who didn’t know you reviewed it, what conclusions would they draw about you and who you are? 2. Our identity is reflected in our character. What is your identity? If you’re not sure how to answer, pray over it and see what the Bible has to say! Some helpful verses are Genesis 1:27, 1 Corinthians 12:27, 1 John 3:1-2 (just to name a few). 3. Looking at my inventory, I identified several things I am working to change going forward. What is one thing you can do to make your character more representative of your identity?